For young girls in some societies, a wedding day is little more than a far-off celebration and a dream of a white dress. For young girls in other societies, it is a potentially traumatizing day that already has come and gone. Forced marriage of young girls is an ongoing challenge in many nations. The U.N. Population Fund estimates that more than 140 million girls under the age of 18 will become brides between 2011 and 2020, and more than a third of that group will be under the age of 15. Young women in poverty who lack an education are particularly vulnerable. Child brides are often at high risk of sexually transmitted diseases and sexual and domestic abuse and have little opportunity for education or vocational training. Across the globe, pregnancy remains among the leading causes of death for girls age 15 to 19. The government of Nepal is working to change these statistics. The country recently hosted its first Girl Summit as part of its continued efforts to end child, early and forced marriage. The nation has managed to decrease the number of child marriages by 10 percent over the last decade (in 2013 the rate was 41 percent). Nepal has outlawed child marriage and hopes to end the practice by 2030. The Girl Summit reflected efforts by the government to broaden the reach of this message and sought to educate and empower young girls and boys to end the cultural acceptance of these practices. This multifaceted, widespread approach can serve as a good example for other nations working to end child marriage. Dors anybody know the average life expectancy of these women and men? 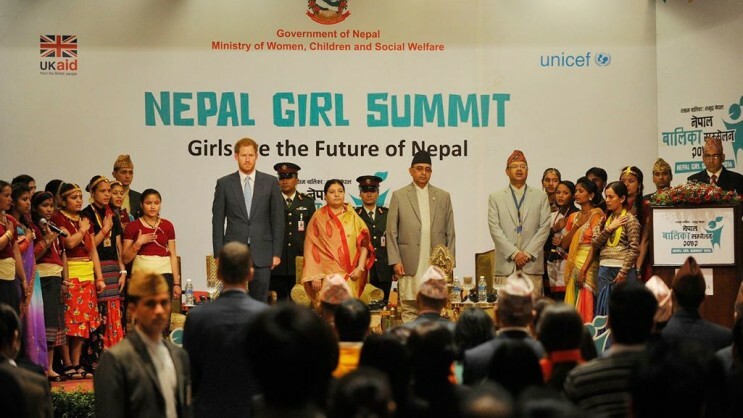 I have to respect Nepal's effort to end child marriages. It is not a wealthy country but is still making an effort to do what is right. Thank you for highlighting this crucial issue. I'm grateful that the government of Nepal is working to end the forced marriage of minors. Unfortunately, child marriage remains a reality in many other countries, including in the United States. Please consider reading this article that was published by the New York Times on October 14, 2015 regarding the phenomenon of child marriage in the United States and talk with your legislators about eliminating the legal exceptions and loopholes that allow minors to enter into the legal contract of marriage: http://www.nytimes.com/2015/10/14/opinion/americas-child-marriage-problem.html?_r=0 Thank you. This article also appeared in print, under the headline "A Vow to End Child Marriage," in the April 18, 2016 issue.